My Grandparents lived on Wilton Road - I think it was No.42. Granddad's name was Edgar (Ted) Anderson and I am not sure of my Grandmother's first name as she died when I was young and first names were not given to children in those days! They were just Nanna and Granddad to me and how I loved going to visit them and "helping" Granddad in the garden and pulling up half of Nanna's lawn to give to the chickens, which didn't go down too well! We lived in the village of Methwold for 15 years where my father Robert (Bob) Anderson had his own family butcher business, before moving to Chappel in Essex in the early 60's. As a child, I used to ride my bicycle, usually with a friend, to Feltwell to visit my Grandparents and we would take a shortcut across the Methwold aerodrome - strictly forbidden of course in case there were aircraft landing. We would ride as far as the main runway then stop and listen for aircraft then go like the clappers across to the safe side of the aerodrome then go on our merry way into Feltwell. I was born in 1943 so I do not remember anything of WW2, but post-war, Lancaster Bombers were still stationed at Methwold and as children if we heard one coming in to land - and you could hear them from miles away - we would race up to Billy Harrod's land which adjoined the aerodrome and by the time they were low enough to land, you could just about see the pilot's face. I'll never forget the sound of those engines. 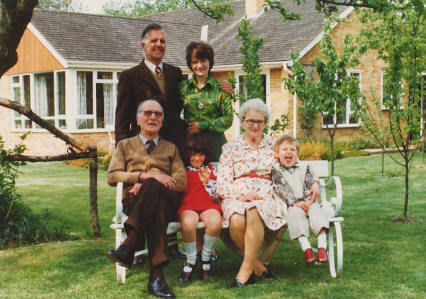 Four generations-Granddad, Dad (and Mum), me and my children. 1975. April 10th 1939. 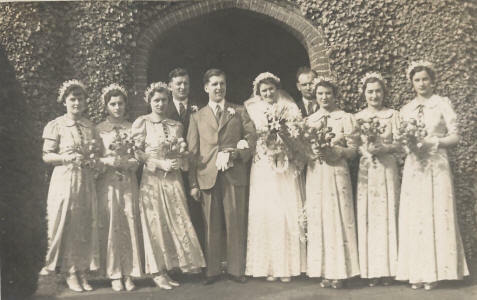 Mum and Dad's wedding day. 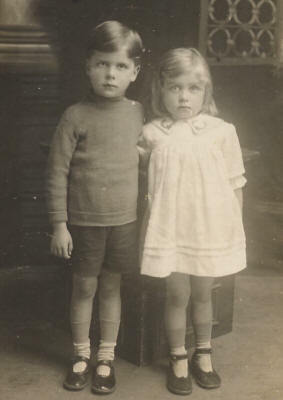 Bob and eldest sister Queenie. Other sisters were Madge and Edna. Date unknown. 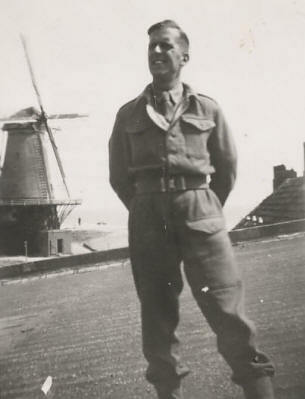 Bob in his Army uniform during WW2. He died at the age of 88 in 2001. Mum's Wedding. 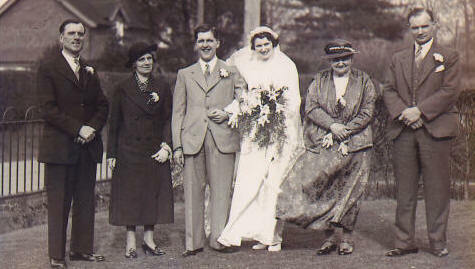 Dad's parents to left of photo, Mum's mother and brother Maurice to right. 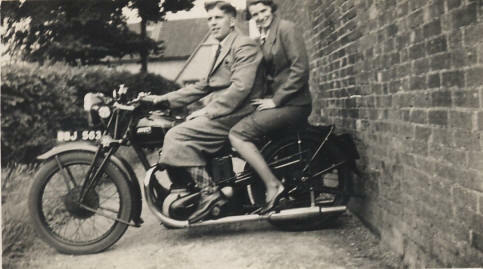 Mum and Dad at side of house, Wilton Rd., Feltwell. 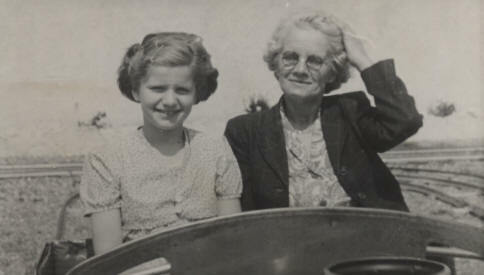 Nanna and Judy on the train at Felixstowe sometime in the 1950's. Late 1920s. Left to Right. 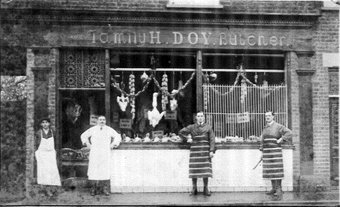 Jack Steward, Harry Doy, Don Green, (Ted) Edgar Ernest Clarke Anderson outside the Butcher's shop in High Street.